It’s no secret that the ultimate aim for TRON is to become the biggest and best cryptocurrency project in the world, in order to do this, it is going to need to surpass Ethereum through all aspects of the project. TRX needs to become a more traded cryptocurrency and the TRON network needs to be bigger, better and faster than it’s Ethereum rival. There doesn’t seem to be any animosity between the two projects, indeed, Justin Sun (the creator of TRON) and Vitalik Buterin (a co-founder of Ethereum) are seen as rivals, though it’s not like they are at each other’s throats, rather, this rivalry is a little more sophisticated than that. We have to note that at the moment, Vitalik is no doubt worried about the progression of TRON. Since TRON bought BitTorrent in the midst of 2018, the project has seen some incredible growth and has received a lot of mainstream attention. In short, TRON suddenly seems to look like a very promising alternative to Ethereum and therefore, it could only be a matter of time before some sort of flippening happens. Although, Ethereum does have a couple of trump cards to play. During this year, we expect TRON to creep closer to Ethereum, though in all honesty it is going to take a huge surge of buying in order to allow TRX to surpass Ethereum by market cap. We should consider that XRP has managed to surpass Ethereum, this time last year, we never would have imagined it possible, therefore never say never. 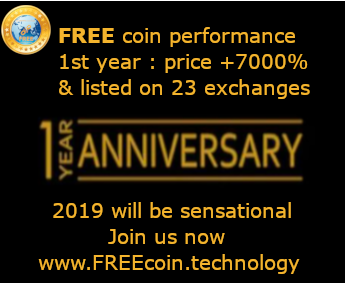 Otherwise, through the year we can only expect TRON to continue to publicise each and every milestone it passes, in order to garner attention, attention that is only going to drive the popularity of the project upwards. 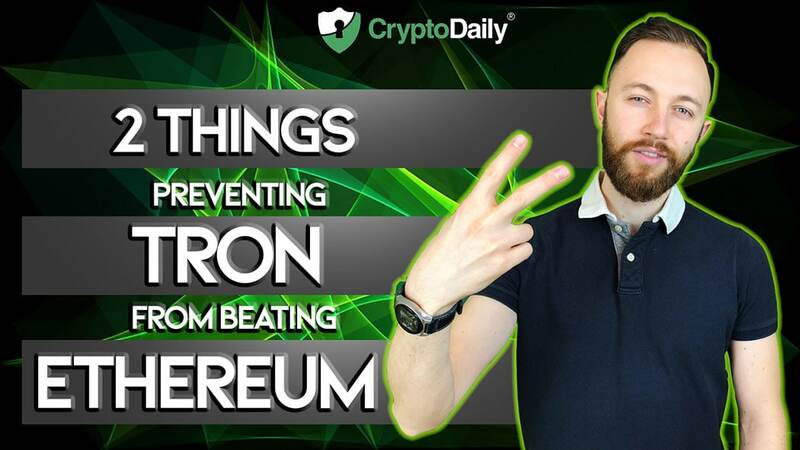 As we have stated, many believe that Ethereum still has a couple of cards to play against TRON, cards that in turn will prevent TRON from taking over, simply because Ethereum has far more potential energy stored up at this stage. We have mentioned publicity and how TRON love the limelight, however, Ethereum are yet to play their publicity trump card. It’s proven that good publicity does drive traffic and the price of the token, this is why TRON are always on top of reporting their news and movements. Ethereum on the other hand is often quiet, therefore people naturally assume the project is just ticking along nicely. If Ethereum start to more to a press heavy approach, they will receive an awful lot of attention, more than is currently seen by TRON. In essence, if Ethereum start being more transparent about their movements, the Ethereum community will love it and will react well to it. Ethereum will eventually need to do this in order to start debunking Justin Sun’s claims that Ethereum is a ‘lesser performing’ blockchain project. The next trump card is development. TRON are hot on the dapps scene, constantly allowing for the development of new decentralised applications that are boosting the use value of the TRON network. Overall, Ethereum have slowed down in this area, but therefore still withhold the capacity to actually improve their development approach. Ethereum is capable of so much more than it has currently achieved and thus, Ethereum can pick up pace, inspired by TRONs incredible development. In short, Ethereum have been ticking along nicely. TRON on the other hand have been pushing on, the fruits of their labour are now starting to show. Now is the time that Ethereum need to follow suit and begin to pick up their own pace, otherwise they are at a great risk of falling behind in a TRON flippening. We must however remember that Ethereum is backed by a bigger network and a bigger community and thus, TRON won’t have it this easy for ever. Whatever happens here, it’s going to be very exciting to be a part of it.